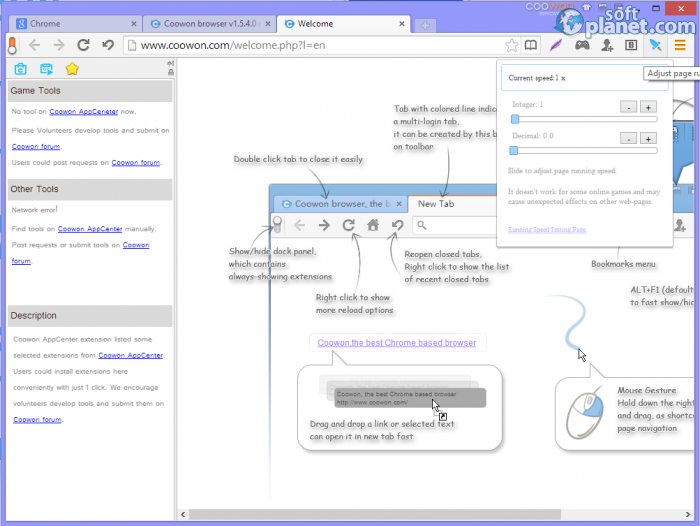 SoftPlanet makes it possible for everyone to get free Coowon Browser download directly from our servers. There is no registration needed for downloading. If you use the Internet then you probably have an idea what a web browser is. Everyone of you has a favorite browser and that is OK as long as you are satisfied with what you use. Some browsers offer slightly different features than the commonly used ones which makes them unique. 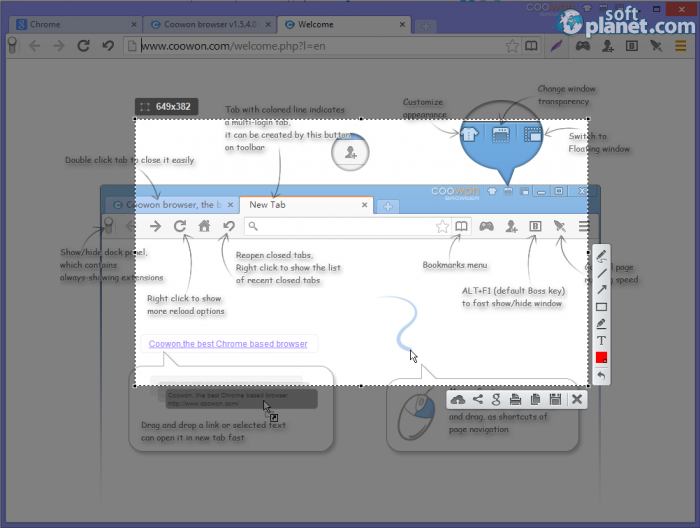 This is the case with Coowon Browser 1.6.8.0, which is a Chromium-based application and has all Google Chrome capabilities plus some extra utilities. 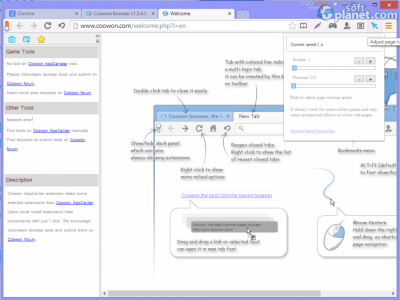 Coowon Browser can perform game tasks automatically for you. But wait, that is not all, because this app allows you to log in with different accounts simultaneously in special tabs of one browser window. Besides that users can record their mouse clicks and entered keystrokes and then play them or share them. 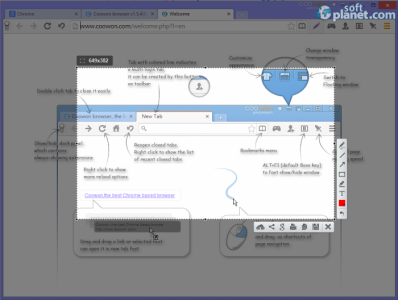 Screenshot capturing with simple drawing tools is included as well. Last, but not least this program is absolutely free and can be downloaded to any Windows platform without any incompatibility. 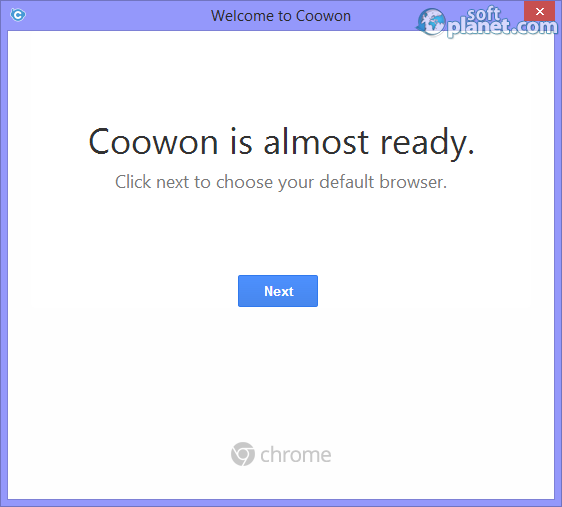 The program interface of Coowon Browser naturally reminds of Google Chrome and all browser items are the same. Here the similarities end and if you take a closer look you will find all new additional options. First of all there is a small up/down button next to the back button which shows the Dock panel. It contains all installed extensions and can be always shown if you click on it once. Most of the new feature buttons are placed to the right side of the address bar. You can find out what their functions are if you hover your mouse over each icon. The appearance of Coowon Browser 1.6.8.0 can be changed too, and this is possible if you click on the small T-shirt icon on top. Transparency and compact mode icons are placed next to it. Another nice add-on is called Screenshot and works as a snapping tool whit simple drawing instruments like pen, line, arrow, rectangle, marker, text and color. To sum things up, Coowon Browser is simply better than Chrome. It is full of new and useful features that can only complete your browsing experience. If you use Google's browser we advise you to give this program a try and who knows – you may like it better. Our security scan shows that Coowon Browser is clean from viruses. 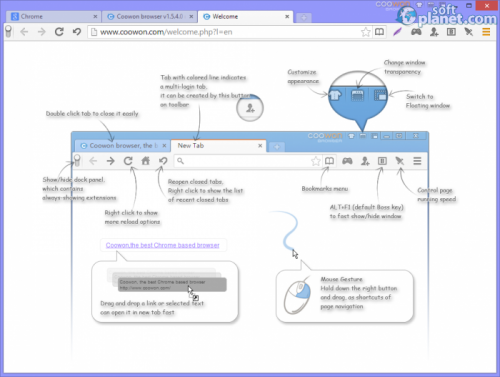 The current version of Coowon Browser has been scanned by our system, which contains 46 different anti-virus algorithms. 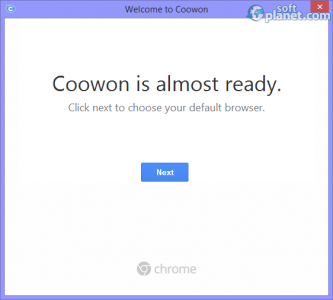 That ensures that Coowon Browser 1.6.8.0 is 100% safe for your computer.